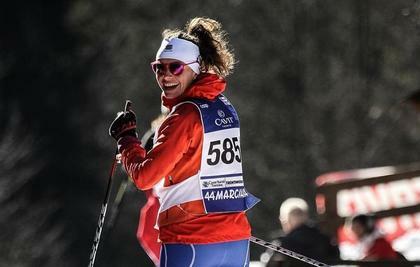 Discover more about our MarcialonGirl on skis! In the past weeks we have already talked about #MarcialonGirl, the project dedicatd to the women of Marcialonga, which wants to stimulate and support female participation to our events through 3 ambassadors - one for each discipline. 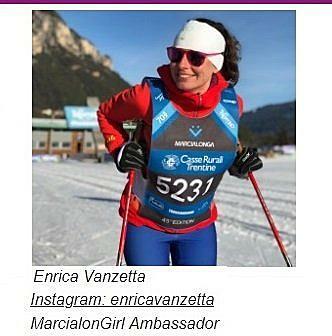 Marcialonga on skis is getting closer and closer and so is the time to get to know - through her own words- our winter MarcialonGirl, Enrica Vanzetta! My name is Erica, I’m 34 years old and raised in Val di Fiemme, a wonderful place of which I discovered the magic only after my period of studies out of the valley- as it often happens. Up to that moment I had never “lived” the mountain, that was a pure background element for me but has then become a part of me I could not live without. My job involves visual communication and I think I can tell I have always been a creative person in everything I do. On the other side, I have never been a competitive person and I never thought I would take part in Marcialonga. Maybe because I was shy or because of my attitude, I never felt the need to confront myself with the others. With the rediscover of the mountains I started to climb. This is a sport where competition moves from the outside to the inside world as for when you are on the climbing wall it does not matter what the others do. You are alone with your fears and courage. I discovered that I like this kind of competition. Trying to go beyond your limits, that cannot be identified as limits as they can be overcome. Trying to do every time better or more. It doesn’t matter if climbing, walking in the mountains or ski touring - all sports that I tried out with 30 for the first time. At that point I decided to brush up on a sport I had practiced as a child: Nordic Ski. I had never taken part in any competitions, being two editions of Minimarcialonga the only exception. At this point the personal challenge could only be the participation to my first Marcialonga in 2017. 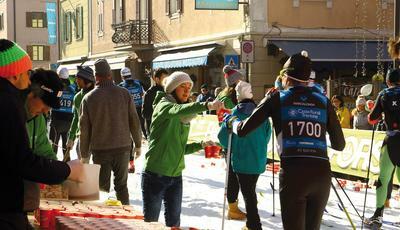 Marcialonga has always been a big celebration rather than a mere competition. When I was a child we would all meet at my grandmother’s place as it is located right along the track so that we could cheer for the competitors. The thought of participating myself to this event is for me a real joy and passing in front of my grandmother’s house is with no doubt one of the biggest emotions. Marcialonga represents to me a challenge to your courage and self-confidence, which already starts in the previous year with the registration. Crossing the finish line means that I can make it, that if I make an effort and really believe in it all my goals can be reached. It reminds me that we have infinite resources inside of us and we just need to let them show. This is a sensation that I try to keep going for the rest of year. Taking part in the #MarcialonGirl project is a big honour for me since I feel the Marcialonga to be mine too, as all the people from Val di Fiemme do. Not having a past as an athlete is the reason why I think I can demonstrate that dedication and a positive attitude can make you reach important goals. Follow her on her Facebook & Instagram accounts! 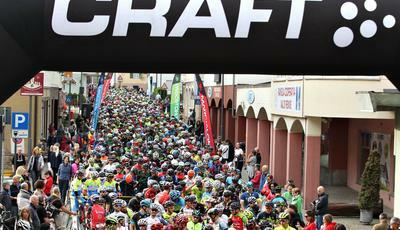 Marcialonga renews its outfit...but not only that! 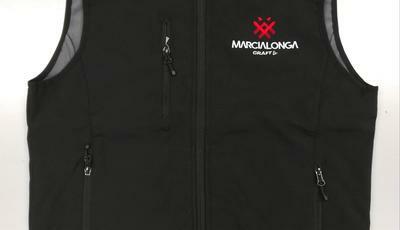 The 2019 collection for clothing and merchandising Marcialonga is here!